Readers, “fortify” yourselves. I’m about to tell you something about your health you may not know…and it requires your action! If you read last week’s post on calcium, bone health & the gluten-free diet, you’ll recall that people with celiac disease need to take special care to monitor their intake of bone-enhancing nutrients. You’ll also likely remember that nutritional deficiencies leading to bone weakness or bone loss are often the hallmark of undiagnosed celiac disease owing to inflammation and impaired intestinal absorption. We also discussed calcium as the lynchpin nutrient you need to consider, both in terms of intake and absorption, if you want to build and maintain strong bones for a lifetime. But there’s more to the story… Turn the page and you’ll see that calcium doesn’t work alone. It has a partner – vitamin D, which assists in the absorption of calcium. While vitamin D plays a starring role in your body’s calcium balance and bone health, it is also crucial to the functioning of your immune system, heart, muscles, lungs and brain. Medical experts have been investigating the relationship between vitamin D and a wide range of diseases, such as autoimmune disorders, diabetes, heart disease, stroke, cancer and neurocognitive disorders. Although researchers have found vitamin D plays a role in these conditions, the verdict is still out on whether vitamin D can reduce their risk of occurring. 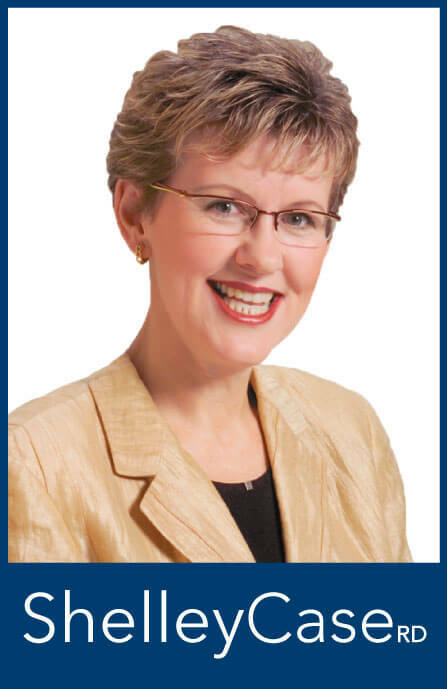 However, what is clear is that, for people with celiac disease wishing to ensure bone health, as well as the health of their immune, muscular, cardiovascular systems and more, it is vital to get enough vitamin D. Adequate vitamin D levels can help prevent or treat osteopenia and osteoporosis, as well as osteomalacia. Osteomalacia is a condition where calcium in not deposited into newly formed bones, causing them to become soft, flexible and weak. Symptoms in adults include bone pain, muscle weakness and fractures. In children, this bone condition is called rickets. Symptoms can include bone pain, skeletal deformities (e.g., bow legs, curved spine), dental deformities (delayed formation of teeth, holes in the enamel, cavities), bone fractures and short stature. Now, here is some good news: Our skin can generate vitamin D from sunlight. But here is some bad news: Obtaining adequate vitamin D from sunlight isn’t always possible, meaning all people, and especially those with celiac disease, still need to pay attention to dietary vitamin D intake. In the sunlight of northern latitudes during the winter months, the necessary UV wavelengths are blocked by the atmosphere due to the angle of the sun. 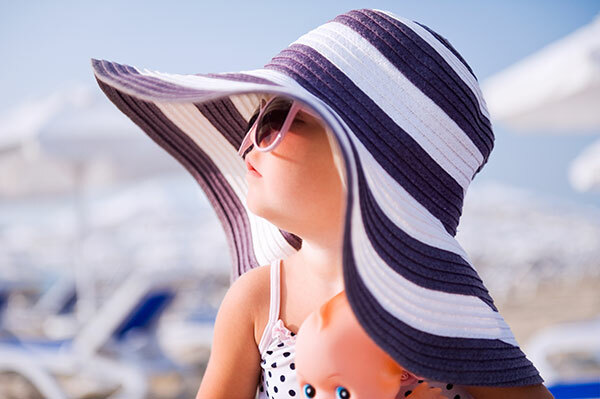 Sunscreen with a sun protection factor (SPF) of 8 or greater can interfere with vitamin D synthesis. While regular use of sunscreen is essential for prevention of skin cancer, sun exposure of the hands, arms and legs without sunscreen for only 10–15 minutes at least two to three times per week can help meet vitamin D requirements. After 10–15 minutes of such exposure, slather it on. Heavy cloud cover or significant smog also can block the necessary rays. Sunlight through a window cannot stimulate the skin synthesis of vitamin D.
Dark-skinned individuals with greater amounts of the pigment melanin require longer sun exposure time to produce vitamin D.
Housebound individuals or those who wear full body coverings are less likely to get an adequate amount of vitamin D from sunlight. Vitamin D synthesis declines with age. What about dietary sources of vitamin D for those who can’t obtain enough from sun exposure? Remember I said to fortify yourself? I meant it quite literally. There are just a small number of foods that feature this sunshine vitamin. 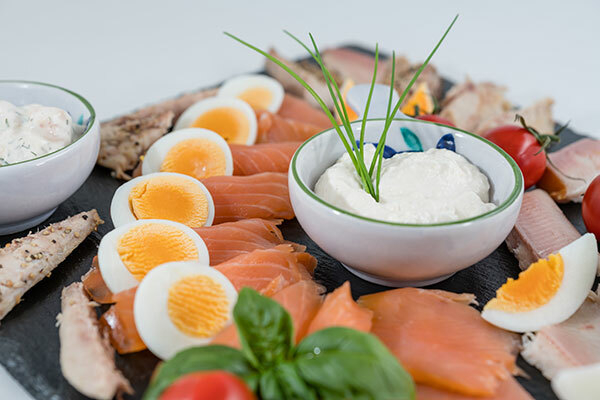 These include fatty fish like mackerel, salmon, tuna and sardines; fish liver oils; beef liver; and egg yolks. Some types of mushrooms (grown under special ultraviolet lights) are the only common natural plant-based source of vitamin D.
If you experience any of the above challenges in obtaining adequate vitamin D from sunlight and, especially, if you have impaired absorption from celiac disease, or have other dietary limitations, then you may wish to turn to foods fortified with vitamin D.
In North America, fortified foods are the major dietary sources of vitamin D. The fortification regulations in the US and Canada differ. In the U.S, although a range of foods are permitted to be fortified with vitamin D on a voluntary basis (e.g., milk, yogurt, cheese, margarine, cereals, rice, cornmeal, pasta, plant-based beverages, fruit drinks and juices), fluid milk and ready-to-eat cereals are the most common fortified sources. In Canada, fortification of milk and margarine is mandatory, and these two foodstuffs are the most commonly fortified products. However, plant-based beverages, orange juice, yogurt, yogurt-based beverages and cheese are permitted to be fortified with vitamin D.
How much dietary vitamin D should you get? Check the table below for your daily requirement. Vitamin D levels are expressed as micrograms (mcg) or International Units (IU) with 1 mcg of vitamin D equivalent to 40 IU. *Expressed as cholecalciferol. 1 microgram (mcg) of cholecalciferol = 40 IU vitamin D.
Recommended amounts in the absence of adequate exposure to sunlight. You can meet your daily requirements of vitamin D with a mix of naturally vitamin-D-rich and fortified foods. Check the chart to assess how you’re doing. If you’re not sure you can obtain enough vitamin D from diet and sunlight alone (and frolicking all winter in Florida, Hawaii or the Caribbean is not in the cards) you might consider supplements. Most multivitamin and mineral supplements contain at least 10 mcg (400 IU) and some calcium supplements have added vitamin D. You can also find vitamin D in single-dose supplements ranging from 5-25 mcg (200-1000 IU). Braver souls often try cod liver oil, which is naturally rich in vitamin D, but please note that plain fish oil or omega-3 supplements will not have vitamin D unless the manufacturer has added it. Although it is possible to get too much vitamin D, it is unlikely to happen from supplements taken as directed. Eat your eggs, fatty fish and fortified milks or plant-based milks. Add a supplement if needed. If you have celiac disease, follow your gluten-free diet with care so that your gut is healed and absorbing nutrients well. And, with spring on the way, pop out and enjoy the sun at last! Just remember to don your hat and sunscreen after the first 10-15 minutes. Ready to learn more? 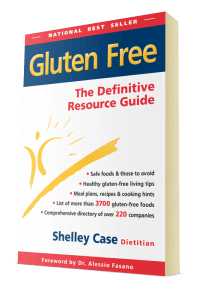 Check out my 368-page book Gluten-Free: The Definitive Resource Guide. It covers all aspects of nutrition and the gluten-free diet, while offering healthy eating guidelines, meal plans, recipes, detailed information about safe foods/ingredients and labeling, helpful resources and more. Get it here!